The first time I landed in Georgetown, Guyana, nearly a decade ago, the impoverished former British colony was grappling with limited economic fortunes. Covered by lush, trackless forests, and rich in bauxite and gold, Guyana was ironically one of the poorest nations in the Western Hemisphere. Thanks in large part to a United States Geological Survey (USGS) report on the Guyana-Suriname Basin, which pegged possible oil reserves at as much as 15 billion barrels of oil (and 42 TCFG), a handful of international companies pricked up their ears as the government in Georgetown threw out the welcome mat. Guyana was worth the gamble. This was not the first time Guyana had acted as a conduit for exploration. Even the famed English courtier Sir Walter Raleigh believed that the golden city of lore, El Dorado, lay somewhere in the deep forests of South America. Little did Sir Walter ever suspect that El Dorado was actually offshore below 2,000m of water. Due to the efforts of ExxonMobil (45 percent) and its partners, Hess (30 percent) and the CNOOC-subsidiary Nexen Petroleum (25 percent), the Liza 1 discovery in 2015 in the Stabroek Block meant that Guyana would be able to take its place at the table of oil producing nations. By no means is it a stretch of the imagination to say that Liza, located about 200 km offshore, has put Guyana at the center of a new ‘rags to riches’ tale. Three ExxonMobil-operated Liza wells, and more recent probes like Payara 1 and Snoek 1 drilled in the block, will create a windfall for Guyana’s rural and mineral export-driven economy. Even if the most conservative reserves estimates for the Stabroek Block prove to be correct, the ExxonMobil-led development will eclipse the country’s GDP at a breath. The current value of all goods and services in the nation stand at just over US$ 3 billion. “The development of the hydrocarbons sector for Guyana has the potential to transform the economy into a sustainable path for economic prosperity,” CEO Bobby Gossai of the newly minted Guyana Oil & Gas Association said in a statement to Drillinginfo. But Guyana does not want to repeat the mistakes of other suddenly rich oil nations. Multilateral lenders like the International Monetary Fund (IMF) have applauded “the authorities’ plans to establish a comprehensive legal framework for managing oil wealth.” Moreover, the IMF said it will support these efforts in Georgetown. “The authorities are preparing draft legislation for a fiscal regime for oil revenues, and a sovereign wealth fund. The IMF stands ready to provide technical advice in these areas,” the Washington, D.C.-based lender says. Guyana is also looking to take lessons from beyond its borders and gain insight from established oil producing nations. “Governance and transparency are important,” says Raphael Trotman, Minister of Natural Resources. Guyana may take a page from Mexico’s successful oil opening. The ink is still drying on a recent Memorandum of Understanding (MOU) that could well pave the way for the Mexican Petroleum Institute (IMP) members to carry out proposed training in Earth Sciences for incoming Guyanese. The scope of the MOU also includes building up technical labor in critical positions such as welders and drill crew supervisors. “The oil and gas sector must be managed in the most effective manner for the well-being of the people of Guyana to be improved. This governance of the new found natural resource has to be done on levels that involves all stakeholders, across all sectors of the Guyanese economy. The business opportunities that are available must be explored by both horizontal and vertical integrations of institutions and cooperation’s within the public and private sectors, simultaneously,” said Gossai of the Guyana Oil & Gas Association. A team from the US Department of State’s Energy Governance and Capacity Initiative (EGCI) recently met with local officials to discuss the oil and gas initiative. ExxonMobil has a potential multi-FPSO development solution on the drafting board for the block. SBM Offshore NV has been tapped for the FEED for the first FPSO to tap the Liza Field in the Phase 1 development, which calls for conversion of a VLCC (Very Large Crude Carrier) with the capacity to produce an average of 100,000 bbls/d and store 1.6 MMbbls. Phase 2 would see output grow at an even higher rate. Given the blocks potentially prolific nature, new discoveries like Payara (announced in January 2017) and Snoek-1, a multi-FPSO development solution may be on the cards. With development just around the corner, policymakers have been cobbling the regulatory framework together for ongoing oil and natural gas development. 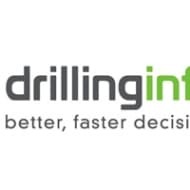 The country’s Minister of Infrastructure, David Patterson, told Drillinginfo on the sidelines of the Guyana Oil & Gas’s first ever conference that the government is looking at how it can use development to fuel growth in other areas of the economy. “The gas would come from the offshore and fuel a 200 MW power plant,” says Patterson. Guyana is also on track to get a major boost in infrastructure. The President David Granger administration is backing construction of a US$ 500 million onshore oilfield services hub on Crab Island on the Berbice River. Moreover, sources say the idea of potentially developing a deep-water port is back on the drawing board. Beefing up the country’s vital transportation links and infrastructure also bodes well for under prospected areas in Guyana’s onshore, far away from the glamour of the deep water. “There is still potential for the shallow water and the onshore Takutu Basin,” Commissioner Newell Dennison, with the Guyana Geology and Mines Commission, told Drillinginfo at the conference. Brazil shares the basin with Guyana. More recent plans to drill in the onshore basin never materialized, though it is important to note that oil shows have been detected in the basin. Home Oil, for example, made the Karanambo-1 discovery in 1982. Activities in this frontier basin have lain dormant since then. ExxonMobil and partners have the bragging rights to Liza and the other discoveries, but companies like CGX Energy and Repsol have been active in the former British colony for more than a decade. Even so, previous exploration forays in the frontier basin yielded little in terms of a major discovery. In 2012, CGX’s Eagle 1 well, which reached Upper Cretaceous Campanian sediments at 4,328m, encountered hydrocarbons shows in the Oligocene, Eocene, Maastrichtian and Campanian zones, indicating an active petroleum system. The well was P&A untested. Repsol also drilled a noncommercial probe with the Jaguar 1. The well’s primary objective was never reached after encountering unusually high pressures shallower than estimated. In 1975, Shell drilled the Abary-1, which encountered light oil in two Maastrichtian sandstone intervals. The well was P&A after experiencing well kicks. At last report in May 2017, ExxonMobil had the “Stena Carron” drillship spud the Liza-4 appraisal well in the Stabroek Block. Liza-4 is located in the east of the Liza Field and is designed to evaluate the Liza discovery to help define the field development plans. It is to be followed by the Payara-2 appraisal well in the programme of drilling for the Stabroek Block. As for other companies, Eco Atlantic and its partner Tullow Oil, hold rights to the Orinduik Petroleum Prospecting License in Guyana’s share of the Guyana-Suriname Basin. Eco Atlantic recently carried out shares sale to “enhance its seismic exploration programme” on the Orinduik Block. CGX continues to seek out a partner for its exploration plans. More immediately, Repsol is focusing efforts on the planned acquisition of 4,000 sq km of 3D seismic in the Kanuku Block. Repsol previously acquired 3,200 sq km of 3D and 860km of 2D seismic over the block, in 2013, using the “Polarcus Asima” vessel. Repsol operates the block with 70 percent WI (Tullow 30 percent). One current prospect, Kaieteur, is up-dip from the (ExxonMobil-operated) Liza discovery, which lies about 50km to the northeast. And even though much of its deep water is under contract, Guyana hopes to lure in more participants in the future, confirmed Natural Resources Minister, Rafael Trotman on the sidelines of the Guyana conference.